Fixed 5G is being billed as an alternative and potentially significant threat to wired broadband services, but this emerging wireless option won't be able to catch up to the capabilities of cable's fixed-line platform, a top exec at Charter Communications said. Still, 5G could present "some edge use cases where it's easier to have a wireless drop than it is to have a physical drop," Winfrey added. But he believes that those instances, at least in Charter's case, will be "rare." He also believes that cable is well positioned to support 5G networks as a partner, given the industry's access to fiber (for backhaul), rights-of-way and power. 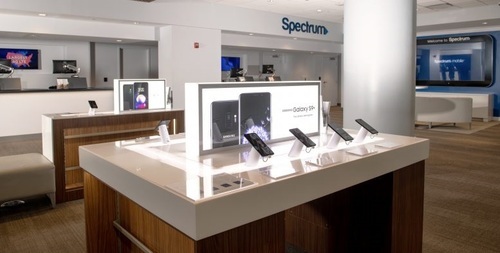 Charter is using Spectrum Mobile, launched across the MSO's footprint earlier this week, to drive incremental sales of in-home broadband and other cable services. A big part of that strategy is to help Charter further penetrate its fixed-line, in-home broadband service (that penetration is at about 50% today) by bundling it with the new mobile offering at an attractive price. In addition to driving broadband subs, the blending of in- and out-of-home connectivity will help Charter add broadband customers and reduce churn, he said. "We'll be using this as a tool to sell mobile into the existing customer base but also into our new sales every day, and we'll be using mobile to drive incremental sales to cable," Winfrey said. But Charter's mobile strategy will come with some associated startup costs for "at least a couple of years," he conceded, noting that the impact there will be almost entirely dictated by the pace of growth. Still, Charter believes that its mobile business will ultimately become profitable on a stand-alone basis. Winfrey said Charter's MVNO deal with Verizon is "attractive," though it believes that Charter could be more competitive and disruptive if it had more control. He estimated that only about 20% of the traffic for Charter customers rides over the macro cell network, while the rest is offloaded on Charter's network (usually via WiFi). But Charter is already eyeing ways, incrementally, to offload portions of that 20% through other uses of unlicensed and licensed spectrum. "We're actively looking at that and have expressed our interest to the FCC and others," Winfrey said. "We like what we see in the mid-band so far… We'll build a business case around it and evaluate it as we go." It’s all relative. Moore’s Law dictates chip speeds and processing power for signal Processors. 5G will always be limited by the amount of licensed spectrum the carrier has, along with which LTE/3GPP release the hardware supports. Today’s 3GPP Release 12 introduced 256-QAM, which is similar symbol rate introduced in DOCSIS 3.0. 3GPP LTE Release 12 also adds 4x4 MIMO. Nearly all Qualcomm Snapdragon processors support 4x4. Ookla tests often show speeds on a wireless in-line with residential coax broadband. The rub though comes from a news release where Legere said that nearly 1/3 of its customers have actually decided to turn off WiFi on their handset... possibly due to poor configuration of home broadband routers. I can’t find the citation right now, but I believe it was something said at a Goldman Sachs conference. In any situation, Cable and also WiFi standards are based on QAM. QAM affects symbol rates and throughout. Today’s newest routers with Broadcom “NitroQAM” now support 1024-QAM, bumping WiFi speeds up to 2.1GB/second on the same 80Mhz wide, 5Ghz channel. With R&D dollars going into QAM research, it’s only a matter of time before similar QAM standards are on LTE. The problem isn’t speed, it’s the processing power of the chips at the router as well as the client device. 4x4 MIMO LTE also requires more power to overcome the noise floor. Some of these routers require multi-core, 1.4Ghz chips to process the wireless signal into reliable data. Newer QAM standards also affect cable speeds. DOCSIS 3.1 as an example. A few years ago, CableLabs held a competition and demo that showed QAM Symbol rates increase up-to 16384 or 16k QAM. The Huawei demo required a special Rhode-And Schwartz signal analyzer be built and brought in to show all the points in the constellation. Point is, 5G may not be as fast as DOCSIS 3.1 right now, but with access to interference-free licensed spectrum, and R&D from CableLabs, Broadcom, Huawei, all RF technologies will benefit. LTE has a similar upgrade path Next-generation DOCSIS and WiFi networks will have. In the ITU/3GPP 5G release, carriers asked for new advances including lower power consumption, smaller hardware, new formfactors, in addition to speed. First, due to microcell legislation, equipment has to be smaller in order to deploy capacity where carriers need it. Thusly, the hardware isn’t made in the 1980s anymore with big, unsightly structures that require megawatts of power. (A Cisco executive I met thought cell equipment was still made to be unsightly and large, but I brushed him off because I don’t believe Cisco is a 3GPP member.) Also, splitting a cell site has to be easier (again for capacity). Today, with Commscope buying antenna manufacturer Andrew, adding a 5th or 6th sector to a cell site is easier. From a technician perspective, it’s an antenna swap, but with single mode fiber, and 48volt power going to the antenna. Nokia is focused on ITU/3GPP standards. Their cellular hardware uses quite a few additional techniques like firmware updates and software-defined radios where software updates can be pushed to the equipment when new LTE standards are developed or spectrum licenses change hands. Still, the FCC has allowed public unlicensed spectrum to be used for commercial LTE, at the expense of WiFi, and also held several auctions to make LTE more available because it’s easier for a LTE customer to get connected. Also, it wouldn’t take much for a carrier to go to Samsung and ask “Can you make a custom TV for us that has a LTE modem built-in?” Carriers have thousands of stores that sell mobile devices; it wouldn’t take much to offer a top-of-the-line TV and subsidize it with a 2-year cable package. After all, to watch DirecTV NOW or YouTube Red, a 5-7Meg burst speed is all that’s required for HD. Put another way, if a 6 sector cell site could be maxed out to provide 6 Gig of data across a 3 square mile area reliably and without rabbit-ears, there are more than 500,000 potential TV screens (and subscription sale opportunities) in that area using 80Mhz of bandwidth and technology like 1024-QAM. And also, no technican needs to visit the house to install it or plug in the TV. Also as an early XFinity Mobile Customer, I also turned off the WiFi on my cell phone. It seems that the phone always wants to connect to Xfinity Mobile “hotspots”. It seems whenever I drive next to a Starbucks or a apartment complex, my cell phone prefers to connect to Xfinity, which only has a range of 100-200 feet. You really don't need 1-gig for anything so far though, not yet anyway!